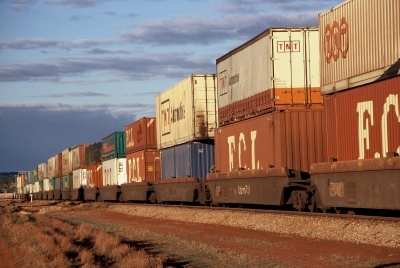 Logistics in Australia and New Zealand have arrived at an automation intersection. Which way will the industry go? We’ve reached a crossroads in Australia and New Zealand about advanced robotics technology. No longer can businesses ignore its potential or claim it’s only taking off in other markets. Hexa Research claims the worldwide warehouse robotics market will reach USD 6 billion by 2025, off the back of 7% compound annual growth from 2017. It’s a global trend worldwide – but not one reflected down under. The Australian Centre for Robotic Vision (ACRV) shows that only 1% of robotics companies that have tried to raise research and development capital in the last decade are Australian. This is odd when you consider the desire for robotics infrastructure close to our shores. Countries across East Asia, developed and developing, are expected to increase their robotics demand over the next three years, according to the International Federation of Robotics (IFR). From Japan to Indonesia, Australia and New Zealand’s regional trade partners are embracing supply chain automation. So why haven’t we entrenched robotics as a natural part of the Australian and New Zealand logistics sector’s evolution, too? The rise of robotics – but why is it slow to take off in Australia and New Zealand? IFR data shows the global average density of robots in manufacturing and the logistics supply chain reached 85 per 10,000 employees in 2018. And despite Asia-Pacific’s reputation as slow adopters of advanced robotics technology, density here is only slightly lower, at 75 units per 10,000. This is due to Asia’s interest in automation. China is the world’s largest purchaser of robotics, while Taiwan ranks sixth (IFR). Hong Kong and Singapore’s position as regional trade hubs also make them fertile ground for automation start-ups. In Australia and New Zealand, meanwhile, interest is just picking up. Aside from major global retailers such as Amazon’s use of drones and autonomous mobile robots (AMR) to streamline supply chain efficiency, the Australian and New Zealand logistics sector is yet to really fully embrace the idea of automation as a help, not a hindrance. Much of this reluctance stems from the fact that there are not enough local suppliers who can integrate robotics into the existing framework of logistics or supply chain infrastructure. PricewaterhouseCoopers’ analysis of automation’s potential long-term impact shows there is little risk to many transport and logistics roles over the next ten years. The report suggests that, while robotics will reduce manual picking and transport roles, automation will instead alter positions. In effect, robotics will be less about replacing human workers and more about logistics enterprises upskilling workers into value-added roles. KPMG echoes this position, claiming the role of a joint human-robotics workforce will be with human workers monitoring and adding intuitive customer-focused skills to the data-driven role of robots. This collaboration with ‘cobots’ doesn’t mean the end of jobs. Instead, it improves the capacity of a given role with higher throughput rates stemming from streamlined physical labour processes and maximised storage space. Whilst a 2018 McKinsey study shows Asia-Pacific still leads the world in the percentage of businesses with no plans to automate in the future, the curtain is falling on that era. Our first success with the Geek+ robotics was with a leading retail business. With a presence in both Australia and New Zealand, the client wanted to innovate its supply chain and logistics picking, packing and storage. We started by consulting on the critical requirements for the robotics installation, determining how the technology would fit in with existing warehouse management infrastructure. Our engineers and technicians mapped out the existing warehousing space and developed a blueprint grid for our robots to learn. This food supply chain enterprise experienced significant growth in the last two years and decided now was the time to get onboard with implementing robotics technology. The supplier already had voice technology integrated into its picking and transit process and thought of robotics as a natural next step. We sat down with the logistics team to assess suitability, to see if robotics really was the logical choice. Once a comprehensive plan for the deployment and integration process was developed, we began customising the Geek+ robotics equipment to their needs. The project is expected to be completed by October 2019. Change management is the most essential part of an automation roll-out. You need to get buy-in from your whole supply chain network on the amazing potential of robotics and how it will help day-to-day productivity. This helps to remove the stigma around the technology. Partnering with an enterprise that is equally committed to your business goals, including managing the evolution of your operations into future, is invaluable. Automation is as much a state of mind as it is cold hard steel. Are you ready for robotics? A comprehensive robotics deployment might not be ideal for every logistics enterprise. Voice technologies and legacy warehousing infrastructure have stood the test of time for a reason. But refusing to consider automation as a viable means of improving operations is no longer an option. The world is progressing, and Australia and New Zealand’s regional trading economies with it. Hexa Research shows that Asia-Pacific, perennial automation laggards, will be close to matching Europe in robotics market revenue by 2025. We need to be part of the change and shape automation to suit the our national tastes. The ACRV Roadmap claims the missing pieces restricting national growth are knowledge about the right technology, and robotics experts to lead the integration. Cohesio’s partnership with Geek+ is one of the first commercial robotics business tailored to the Australian and New Zealand markets to meet the needs of national organisations and customers. The diverse technology and engineering team can help companies build out and implement scalable robotics that suits their operations, now and into the future. Are you prepared for a new mechanised world and ready to join the automation evolution with a robotics solution for your business? The time is now.